Crown Jewels Finished size of 49" x 54". 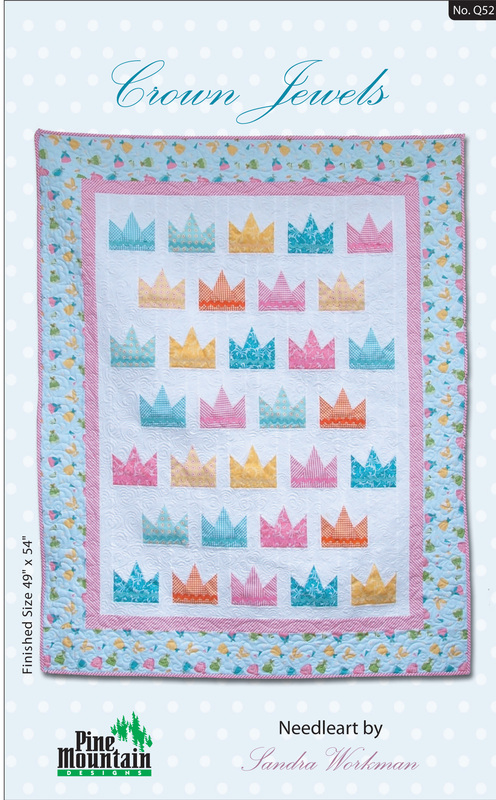 This quilt is made using a fun folded fabric technique which means NO TRIANGLES and creates unique dimensional crowns. Pattern includes quilt and accent pillow.